The Other: 7 Sins was a game that I picked up on Kickstarter last year, simply because I liked the look of the army of miniatures it came with. It's a horror survival style game, with each of the monster factions based on one of the seven deadly sins. Unlike some of the other 'sins', which have common color associations, I was a touch stumped with color scheme would be suitable for 'Pride'. 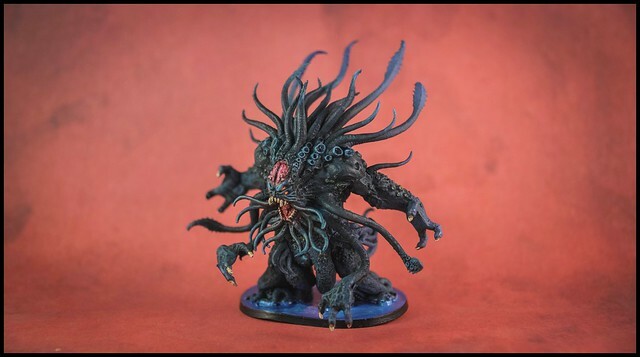 The miniature however reeked of sea monster, with a splash of Cthulu, so I went with an aquatic scheme. All in all I was happy with how this one turned out. 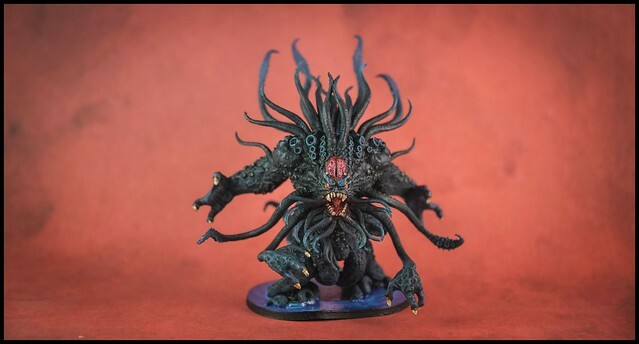 The miniatures that come in these games get better and better, so they definitely make for some cool painting projects.